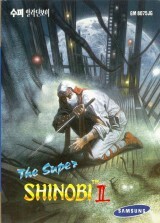 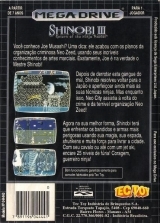 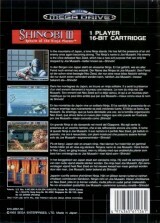 Super Shinobi II, The	Contribute! 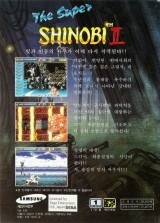 Shinobi III: Return of the Ninja Master	Contribute! 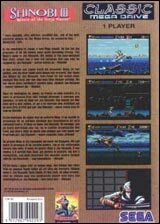 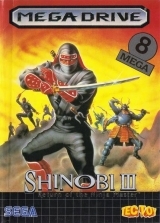 Shinobi III: Return of the Ninja Master (Classic Megadrive)	Contribute! 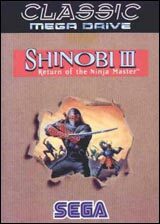 Shinobi III : Return of the Ninja Master	Contribute! 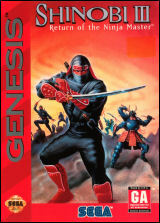 Shinobi III: Return of the Ninja Master (Silver)	Contribute! 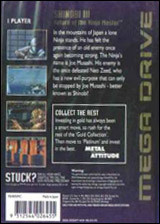 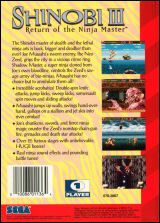 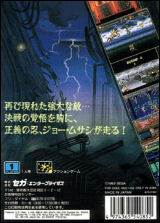 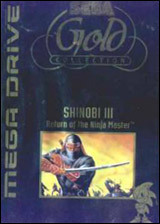 Shinobi III: Return of the Ninja Master (Gold Collection)	Contribute! 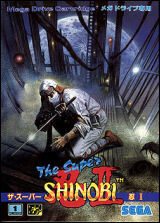 L'image imprimée sur la cartouche est différente de la version européenne. 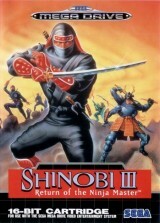 Shinobi III: Return of the Ninja Master (Rental version)	Contribute!